Trinidad and Tobago playing it's fourth international of the year tied Jamaica 1-1 in a friendly in Palo Seco. 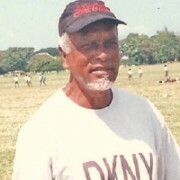 Jerren Nixon started the T&T scoring with a strike in the eight minute which marked the begining of a twenty minute opening barrage by the Calypso boys. Nixon collected a pass from Peter Prosper who went racing down the right flank on a through ball. He passed it to Nixon as the Jamaican defenders appealed for offside. T&T was captained by David Nahkid and in it's lineup foreign players Anthony Rougier, Peter Prosper and Wesley Webb. This was also a young squad as well. Included in the lineup was Anton Pierre, Marvin Andrews, Travis Mulraine, Welsley Webb, Jerren Nixon and Kelvin Jack all under 23 players. T&T should have gone two goals up but teenage starter Anton Pierre missed on a through ball from Nakhid. Travis Mulraine also had a chance smothered by goalie Aaron Lawrence. Jamaica made the game more even after 25 minutes when they started to mount pressure on the T&T goal. They should have scored however, a good save from Kelvin Jack kept the scoreline 1-0 at the half. In the 78th minute T&T defender Marlon Andrews was sent off for a dangerous tackle. That stretched the defence thin and in the 83rd minute Butler scored to gain a 1-1 tie in front of 6,000.